skybook123 has no other items for sale. There are 1,554 items available. Please enter a number less than or equal to 1,554. The wallet is a good product for the price. I replaced the leather lanyard out with a chain. The wallet fits well in the back pocket and has a good leather feel to it. 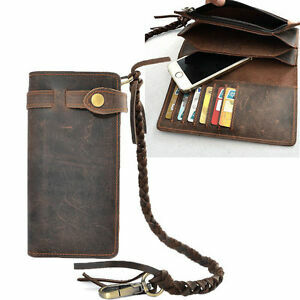 I would recommend this wallet to anyone that has had a long wallet in the past. Quality was much better than I expected. Plenty of room “for stuff”.